Drs. Cockroft and Simon believe the PED can improve outcomes for patients with other types of aneurysms as well, but a learning curve accompanies the device. It’s the reason Dr. Simon oversees a multi-site retrospective database of off-label PED procedures performed between 2011 and 2015 to establish the device’s efficacy in smaller aneurysms, and Dr. Cockroft serves as a regional physician proctor to ensure clinicians are properly trained in the device’s use. FELLOWSHIPS: Interventional/Vascular, Thomas Jefferson University Hospital, Philadelphia, Pa.; Neurological Surgery, Stanford University Hospital, Stanford, Calif.
RESIDENCY: Neurological Surgery, The New York Hospital-Cornell Medical Center, New York, N.Y.
MEDICAL SCHOOL: Cornell University Medical College, New York, N.Y.
RESIDENCIES: Neurosurgery and General Surgery, Vanderbilt University Medical Center, Nashville, Tenn.
MEDICAL SCHOOL: University of Chicago-Pritzker School of Medicine, Chicago, Ill.
Becske T, Kallmes DF, Saatci I, McDougall CG, Szikora I, Lanzino G et al. 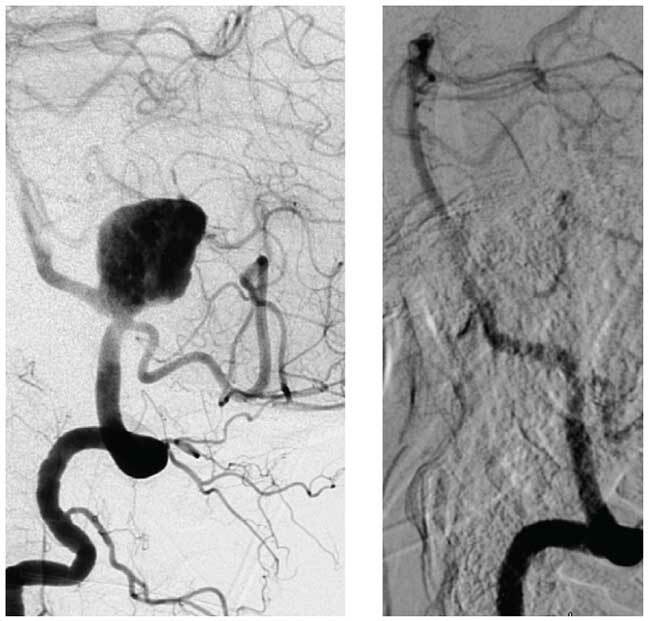 Pipeline for uncoilable or failed aneurysms: results from a multicenter clinical trial. Radiology. 2013 Jun;267(3):858-68.